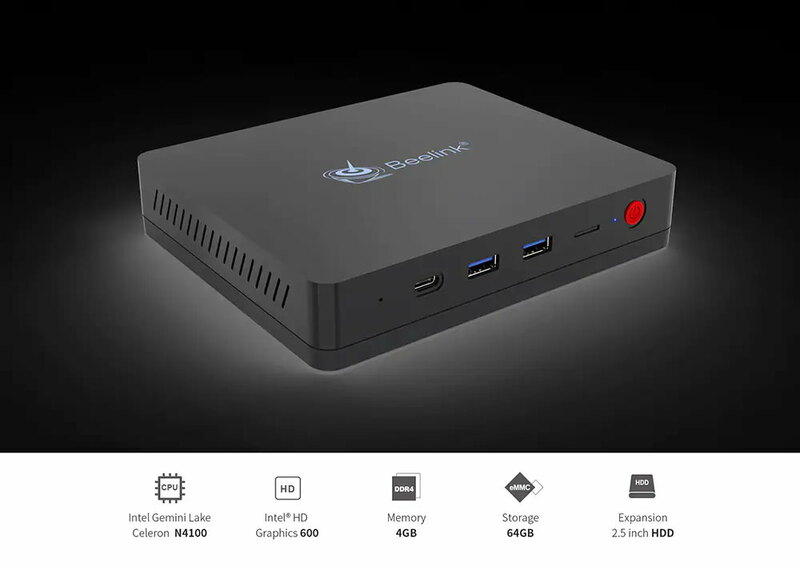 Beelink S2 mini PC is powered by Intel Celeron N4100 processor with four x86 cores, it is capable of reaching 2.40GHz in turbo mode, includes an Intel UHD Graphics 600 with 12EU GPU and has a maximum speed of 700MHz. ● Pre-installed Windows 10 home with Cortana, supports voice operation, play music, broadcast news, etc. ● Dual screen display (2 × HDMI) is more shocking. ● Intel HD Graphics 600, up to 4K * 2K high resolution. ● 4GB RAM and 64GB eMMC storage, free expansion up to 128GB with TF card. ● 2.5'' HDD up to 2TB can be added to the bottom of the device. ● 2.4G and 5.8G dual band WiFi can transmit higher amounts of data. ● 1000M LAN improves the net speed and the performance. ● Easy to place with the mounting bracket and two HDMI cables.